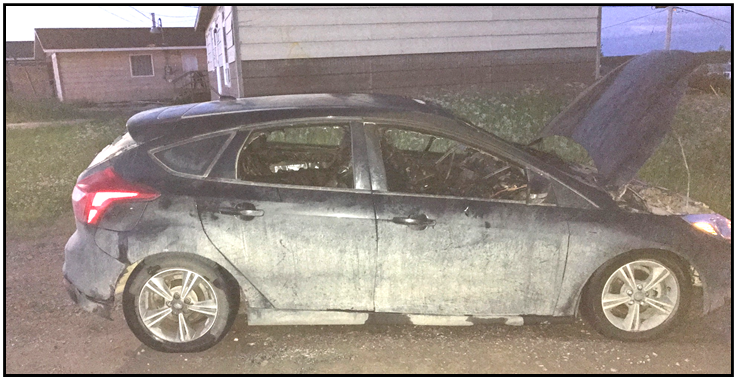 At approximately 3:15 a.m. on July 11th, 2017, Nelson House RCMP received a complaint of a vehicle on fire beside 13 Westwood Drive, Nelson House, MB. Further investigation revealed that the vehicle had been intentionally lit on fire. Nelson House RCMP are asking for assistance from community members in identifying the person responsible for this arson. Anyone with information about this incident is asked to call the Nelson House RCMP Detachment at (204) 484-2837 or submit a tip.